Candy Crush is perhaps the biggest, most, supreme and addictive mobile game of the moment and if you have not tried it yet you should do it because it is excellently fun, in addition to being totally free. Today for those who have not yet started playing it, or for those who already did and need a little help, we are going to bring a list of 5 tricks for Candy Crush Saga that will facilitate you to pass the more complicated levels. 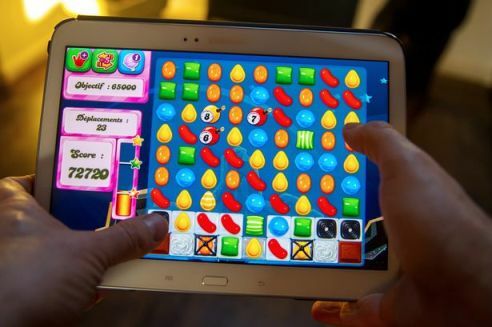 Like other mobile games like Bejeweled or Diamond Dash, Candy Crush Saga is about combining elements and cascading candy. With a very beautiful design and an almost perfect learning curve this game of King developers is a level by level addiction and once you’ve started it’s almost impossible to stop. Candy Crush Saga is a classic arcade game for mobile but is also available as a Facebook game and browser game. You can download it for your Android or iPad tablet if you want, but let me tell you that once installed, there is no going back. Now that you’re already warned, let’s start with our list of tips and advice for Candy Crush Saga. The key advice to win at Candy Crush is to memorize and find the patterns that make each set of candies into a candy with some power. For example combining four caramels in a row, both vertical and horizontal, will allow us to obtain a striped candy, otherwise combine them in the form of L or T will give us a wrapped candy, which unlike the first one that erases the candies in line, clears the candies located around it. The key to these types of games where the idea is to eliminate the most candy or elements on the screen is to start from below. Why this trick for Candy Crush? Simply because if we remove the candy from below this will create a cascade effect that will increase the probability that some combinations are achieved automatically. The secret to winning in Candy Crush is in the combination of candy, and believe me; once you master this you will be almost invincible. Combining a striped candy with a wrapped candy or a caramel striped with a sparks candy will allow you to erase half the screen in just one movement, even reaching places where you cannot move the candy. In case you did not know the direction of the striped candy is defined by the type of combination you make when mixing the four basic candies. If the last caramel you have moved to achieve the striped candy was vertical then it will be a vertical striped candy, if you have done it horizontally then it will be a horizontal striped candy. As you have noticed in Candy Crush accounts with a maximum of 5 lives that are regenerating every half hour. If you play Candy Crush on your mobile you can change the time of the device and automatically achieve extra lives, try it and keep playing until your eyes dry.